Impact investing is rewriting the way companies can improve human rights conditions. In 2007, the Rockefeller Foundation devised the term “impact investing”, officially inaugurating a new era in finance and development. This form of investing channel funds privately to vulnerable segments of the population in need, and it complements welfare and social protection programs by the public sector, as well as other innovations in financing development, such as community banking, microfinance, and mobile banking. The Global Impact Investing Network (GIIN) estimates the impact investing market at USD $77.4 billion and defines impact investing as “investments made into companies, organizations, and funds with the intention to generate social and environmental impact alongside a financial return.” The intent to generate positive social or environmental impacts through investments is what differentiates this approach from ethical or responsible investment, and this type of investment now has the support of several political and religious leaders. For example, in 2014 the Social Investment Taskforce—established by the UK Presidency of the G8—published Impact Investment: The Invisible Heart of Markets. This report predicted a “paradigm shift in capital markets thinking”, from two-dimensions (risk, return) to three (risk, return, impacts). In addition, the Pope blessed impact investing just last month, according to the Financial Times. Impact investment can be a tool to channel investments that affirm human rights. Although impact investment is not explicitly driven by a human rights mission, it can be a tool to channel investments that affirm human rights. Available data on impact investing shows that investors have a bias in favor of social, rather than environmental, impacts. The fifth annual impact investor survey by GINN and JP Morgan observed that most respondents seek to achieve impact by investing in organizations that either sell products or services that benefit target population(s), or provide employment to target population(s), especially women. Impact investing can involve both debt and equity, and a diverse set of actors from public and private sectors. A simple form might involve a private equity taking up a stake in a social enterprise. A more complex example would be social impact bonds (SIBs), also known as "social innovation financing" and "pay for success" financing. In one of the early examples of impact investment, Goldman Sachs launched a pay-for-success initiative to reduce recidivism and improve employment outcomes for at-risk young men in Massachusetts. Under this initiative, a service provider is only paid when a third-party evaluator determines that the initiative has achieved specific outcomes that create benefits to society and generate savings for the government. The bond provides a unique model for incentivizing an alternative to incarceration and prompting a second opportunity for juvenile offenders, in line with a rights-based approach to juvenile justice. Impact investing is a familiar concept with multilateral financial institutions. 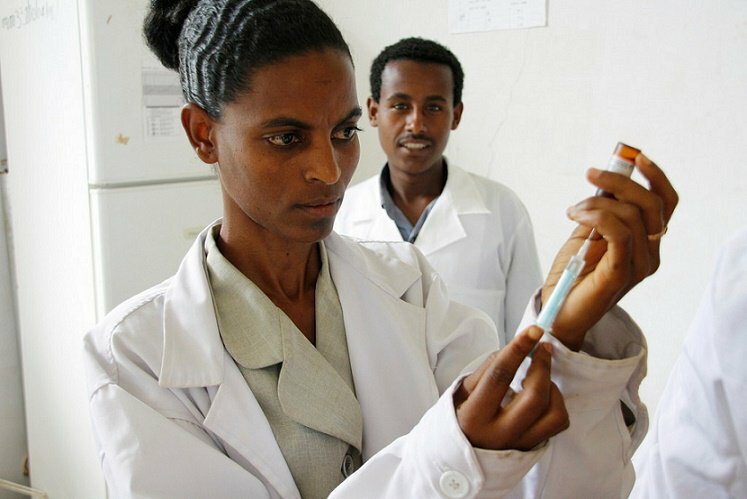 Vaccine bonds, issued by the International Finance Facility for Immunization (IFFIm) involved the World Bank acting as treasury manager and financial advisor. The proceeds of these bonds pay for vaccination programs in the developing world. The bonds "front-load" future governments' aid pledges to fund vaccinations through the Global Alliance on Vaccines and Immunizations (GAVI), a public-private partnership. The first issue raised $1 billion; subsequently, GAVI raised additional amounts in various markets, including Japan, which allows bonds denominated in a foreign currency to be sold directly to Japanese household investors. According to the Financial Times, in 2008, Japanese retail investors (many of them housewives), paid $1,270 each and helped raise $223 million. EuroWeek magazine called this one of the 25 most influential deals, helping set a trend of ethically themed bonds sold in Japan. The use of World Bank-backed "vaccine bonds" to raise money for global immunization initiatives is but one example of how impact investment might be employed to advance human rights..
Around the time that the impact investing community was basking in the afterglow of the Papal blessing, something else happened: a coalition of 80 investors (including the Rockefeller Sustainability and Impact Investing Group) representing $4.8 trillion worth of assets announced support for the Corporate Human Rights Benchmark (“CHRB”), an initiative intended to incentivize companies to decrease the adverse human rights impacts of their operations. CHRB is currently working to rank 100 largest listed companies on their human rights performance across the agricultural products, apparel, and extractives sectors. It proposes key performance indicators around human rights policies, processes and performance in line with the UN Guiding Principles on Business and Human Rights, a new human rights framework that is adapted to business. Despite these positive developments, impact investing still hasn’t taken hold in a broader segment of the investment community. One of the challenges is how to respond to investors’ uncertainty about balancing risk, return, and especially impacts. Paul Brest and Kelly Born’s post on Stanford Social Innovation Review notes that measuring impacts is indeed hard business: “Estimating social return is intrinsically much harder [than estimating financial return] because of the complexities of placing values on social and environmental outcomes and predicting what outcomes an organization is likely to achieve…”. Can a human rights framework—designed by states for states but increasingly used in business settings—help to build an impact measurement protocol that would guide impact investing? When a human rights framework is used as a comprehensive reference point, investors could be assured of a variety of ways to support rights and measure impacts. The International Bill of Human Rights provides articulation of various vulnerabilities. A focus on vulnerabilities ensures that no potential opportunity to protect and benefit rights of different groups in society is overlooked. It also clarifies the boundaries of state duties and the domain of the private sector—something that is extremely useful when the investor is unsure of the exact scope of acceptable social benefit to target through private funds, or how to create synergies with state interventions. As for impacts measurement, a rights based approach will help articulate the delta to be measured, which may help avoid any guesswork on what constitutes benefits and for whom.